Time to get pished in honor of ye old Ireland, San Francisco– we’re bringing back your favorite St. Patrick’s Day bar crawl – the Irish Stroll. It's the official day of the green holiday and the end of a weekend of lucky festivities . You'll be revved from the Get Shamrocked party the night before and itching to hit the town with your green-clad crew. You'll enjoy cover-free entry to dozens of San Francisco's best pubs and taverns hosting festivities in honor of the Emerald Isle. There’s no shortage of drink specials on this crawl, which means you won't spend a moment thirsty. 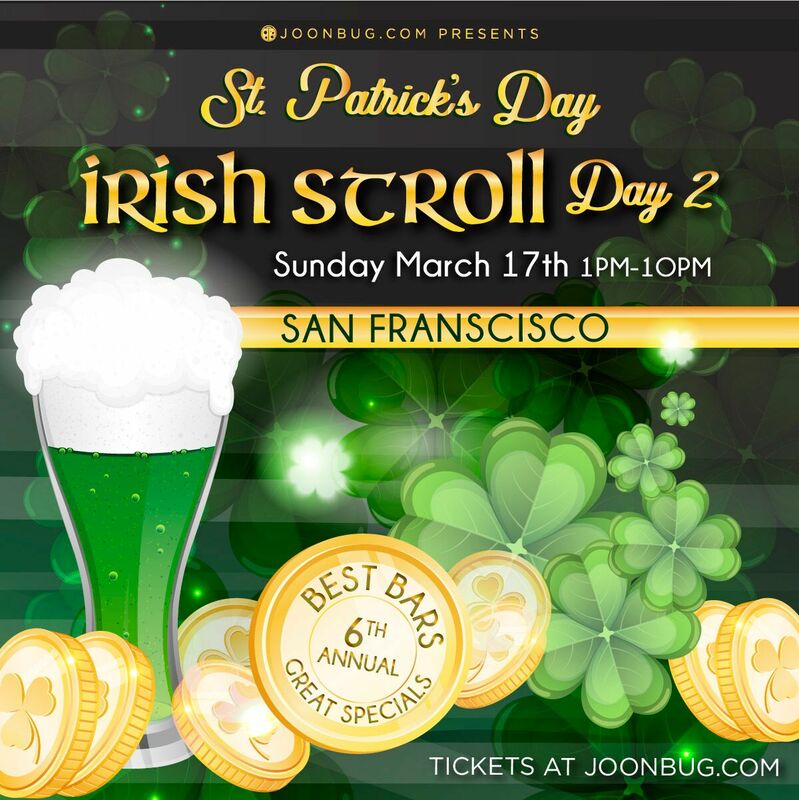 Get ready, because San Fransico's Irish Stroll is looking like it's going to be better than ever this St. Patrick's Day. From 1pm to 8pm register at the designated registration site. Grab your wristband and a map detailing participating venues and get ready for a day of luck-filled festivities. Check out our deals on group discounts and multi-day passes so you can save your gold this St. Patrick's Day!